In most children elevated blood p ressure measurements are transient and due to situational anxiety. 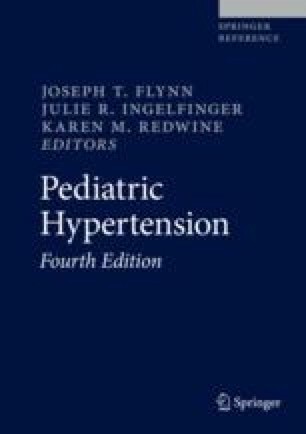 When the blood pressure elevations persist, most children are found not to have an identifiable cause for the hypertension. In the minority of children, hypertension is due to an identifiable cause which may include a variety of medications and illicit substances. Substance-induced hypertension can be associated with unexpected and severe blood pressure elevations and should be considered in such circumstances. Fortunately, the blood pressure typically returns to normal values soon after stopping the offending agent, and usually pharmacologic intervention is not required.